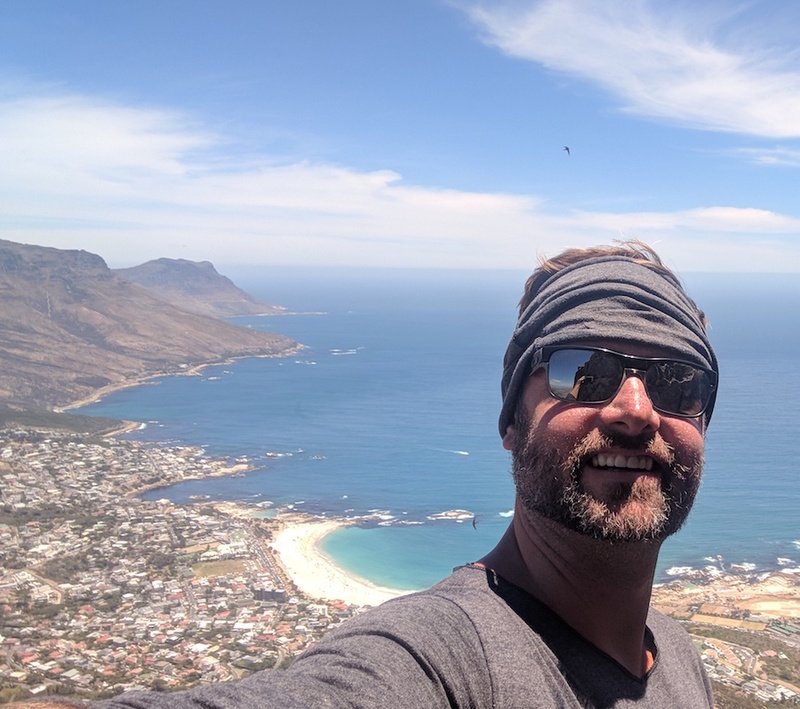 Exploring South Africa for three months (my second visit to the country) left me with one reoccurring thought – this would be an excellent adventure travel destination for a group of male friends. 40th/50th birthday celebration or twenty-somethings on an exotic bachelor party retreat. I would reiterate these thoughts with other male travelers that I met during my stay, and they all agree. With such a wide variety of things to do, South Africa is an ultimate getaway for guys that want some of the comforts of home (English speaking country, good infrastructure, reliable transportation) while looking to experience a different culture, see exotic wildlife, and enjoy the many outdoor activities. Hiking or trekking up a mountainside is a great way to bring a few guys together. Maybe it is the teamwork of overcoming a difficult task or the accomplishment of a shared goal. Regardless, it is an excellent way to bond while breaking a sweat. South Africa provides an almost endless list of hiking opportunities throughout the country. At the top of the list is Table Mountain in Cape Town. The New 7 Wonders of the Natural named it for the epic views of the gorgeous city on the sea below. I prefer the hike up Lion’s Head, which is within a few miles, so I can get the best view of Table Mountain and the beauty that surrounds it. It is one of the unique sights in all the world. Lion’s Head is not too challenging for a hike and can be completed, up and down, in about 2 hours with no issues. The hikes do not end in Cape Town. I had the chance to do a couple more memorable hikes while in George. I hiked the Saint Blaize Trail in Mossel Bay five times while staying in this beautiful little coastal town for a month. You can leave the headphones at home while you walk along the coastline so you can hear the waves crashing, spot the dassie scatter, and watch people attempt to chip onto the green on the epic Pinnacle Point Golf Course. It is a challenging and refreshing hike that I could not get enough of. I walked along the Robberg Hiking Trail in Plettenberg Bay while on a fishing outing to get to the point where we would fish for sharks. The reward of this moderate trek is that you get to hear the seals playing along with the side of the mountain throughout the second half of the hike. When you get to the endpoint, there are hundreds of seals playing and feeding all day long. I even witnessed a whale deep out into the Indian Ocean and a school of dolphins making their way. 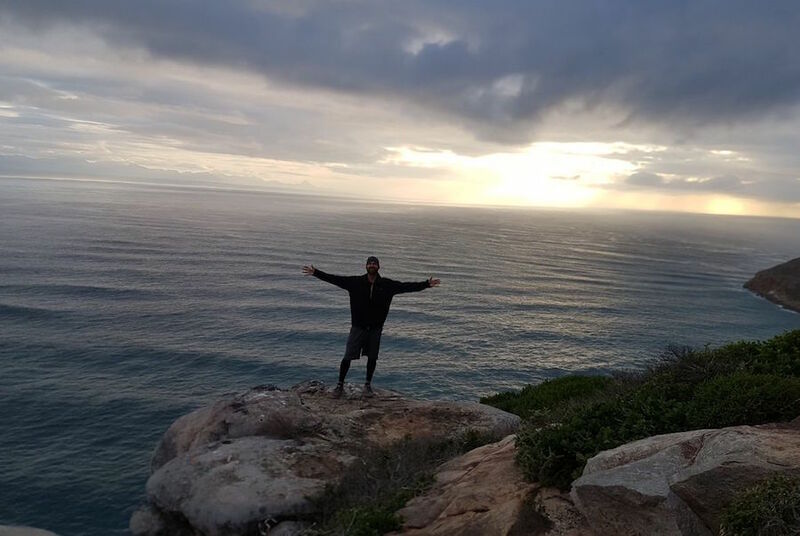 Depending on where you decide to take in the beauty of South Africa, I am confident you can find trails near you that can be challenging and fun. I did several other 2-3 hour treks during our stay. For a 10-12 day stay, you can likely get in 2-3 good treks if you desire. If you and the fellas are making the long flight to Africa, you have to go to a safari, right? Safaris tend to be a bucket list item for many men that seek adventure travel. Getting a chance to see the Big Five (Black Rhino, Elephant, Leopard, Cape Buffalo, and Lion) in their natural setting can be a life-changing experience. The well-known Kruger National Park Safari gets the deserved publicity because of the accommodations, deep natural environment, and professionalism of the staff. I have heard firsthand how great the Kruger Park adventures can be and have seen the footage of lions eating prey within yards of the vehicles. Your heart stops. That said, if you plan on doing a wide range of activities during a couple of weeks in South Africa, it can eat into your schedule and take a big chunk out of your budget. We visited the Botlierskop Private Game Reserve in the heart of the Garden Route for a wonderful day-trip safari. The African leopard was the only member of the big five not within the walls of the farmland at Botlierskop. Taking the open-aired truck into the acreage to see Zebras, Rhinos, Elephants, Giraffe, the rare Black Impala, Golden Wildebeest, and other wildlife was memorable. It will be hard to forget being that close to the Giraffe as he casually walked by us. These smaller, shorter safaris can be a great way to witness the beauty of the wildlife that Africa has to offer while allowing yourself time and money to seek out other adventures while visiting. There are options to visit the land on horseback as well if you and your buddies desire. The coastline of South Africa is gorgeous with the endless waves and sandy beaches. 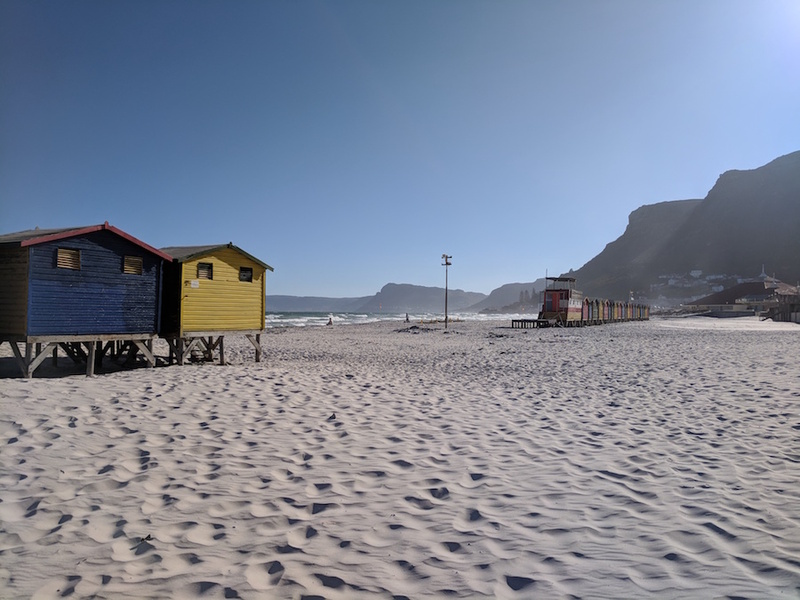 You and your team can decide to hang at the beach enjoying a braai (we will get to this soon) having a ‘lekker’ time (lekker means ‘cool’ or ‘awesome’ in South Africa speak) with food and drinks, or you can make it more action-focused if you want. South Africa is one of the hottest spots in the world for surfing with places like Jeffreys Bay, Muizenberg, and Victoria Bay. World Surf League (Men’s Championship Tour) Corona Open J-Bay are held in Jeffreys Bay in July each year. The waves are incredible! If you ever wanted to learn how to surf or if you are an avid surfer, you will have a wonderful time navigating the waves. You can rent wetsuits (the water gets pretty cold), surfboards, and hire an instructor if needed. If you enjoy the other water sports, you can get that action as well – kite surfing, kayaking, or paragliding. Guys tend to want to ‘out brave’ each other on occasion. If you run with this type of crew, you are probably thinking about shark diving. Getting into a steel cage while having the sharks a couple of feet from your face can be an adrenaline rush for anyone. With the shark-filled waters of the ocean, it is not difficult to find your way onto a guided tour to live out this wild experience. Sharks feed on seals, so there are plenty of these playful animals near the shore as well. A fun adventure for those that love these ‘dogs of the sea’ is to swim with them as they curiously swim near you in the ocean. The half-day adventures are a great way to get out unto the water on a speedboat, looking at the beauty of the landscape from that vantage point. You will never forget the feeling of jumping into the ice-cold water and having seals stare at you with their giant puppy dog eyes as you both wonder what the other is thinking. Bring the Go-Pro or waterproof camera. You will want to capture it! For the guys that like to fish and understand how others do it around the world, South Africa can be your ultimate destination to discover the sea. I met men from every continent while there that traveled in for the fishing alone. It’s a dream location based on the wide variety of deep sea fishing options and land-based rock fishing adventures. The types of fish you will catch and release are the ones that you will frame and proudly display in your office. I had the rare opportunity to go 90 Kilometers out into the sea during my visit (this only happens 1-2 times a year based on wind/water conditions) to go Yellowtail fishing. Talk about a memorable trip! Traveling 3 hours in the middle of the night on the sea is something I will never forget. It was like the moon and stars were sitting on the ocean. To hear the whole story check out the Podcast Episode I mentioned earlier. 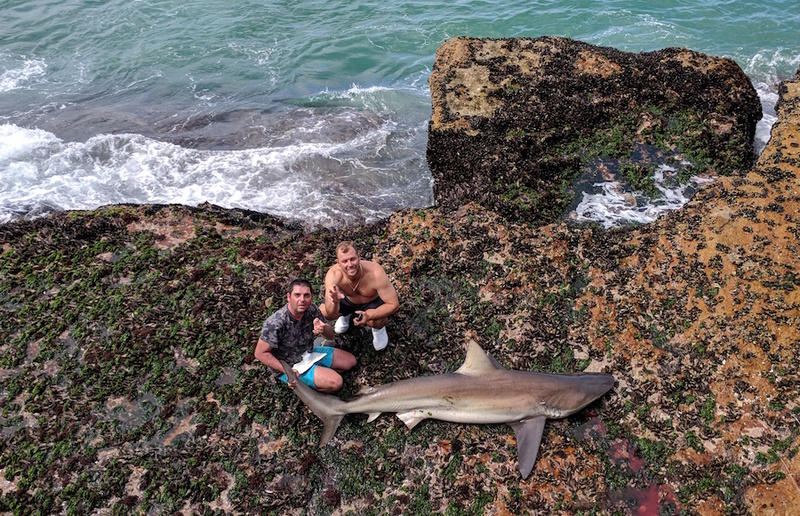 If fishing is something you and your buddies enjoy, is there a better story than battling a shark for 3 hours? It is a ‘team’ event and something you will remember for a lifetime. I will never forget how excited the Spaniard got as he battled his catch up and down the rocky coastline while our guide did a tremendous job coaching and guiding the entire time. Want to see a stream of photos from the guide (Ninja Shawn Mey)? Golfing is a great way to experience the beauty of a foreign country with your buddies. Courses like St. Andrew’s, Muirfield, and Royal Dornoch in Europe get a lot of press for their beauty and history, and deservedly so, but if you are looking for a less-expensive option with the same level of unique landscapes and challenges, you will enjoy what South Africa has to offer. South Africa has given the world pros like Gary Player, Ernie Els, and Louis Oosthuizen, and these guys have gone back to their home country to build amazing courses. Oosthuizen has his home course at Mossel Bay Golf Club where I had a chance to visit. This is the course where Oosthuizen shot an unbelievable round of 57. Around the corner from this course is the gorgeous Pinnacle Point Golf Club that has a casino and plenty of fantastic views. There are plenty of top courses throughout the country including The Gary Player Country Club, Fancourt, and the Durban Country Club. Alcohol is usually a common theme in guys’ trips. South Africa has you covered with a broad range of wineries throughout the country. 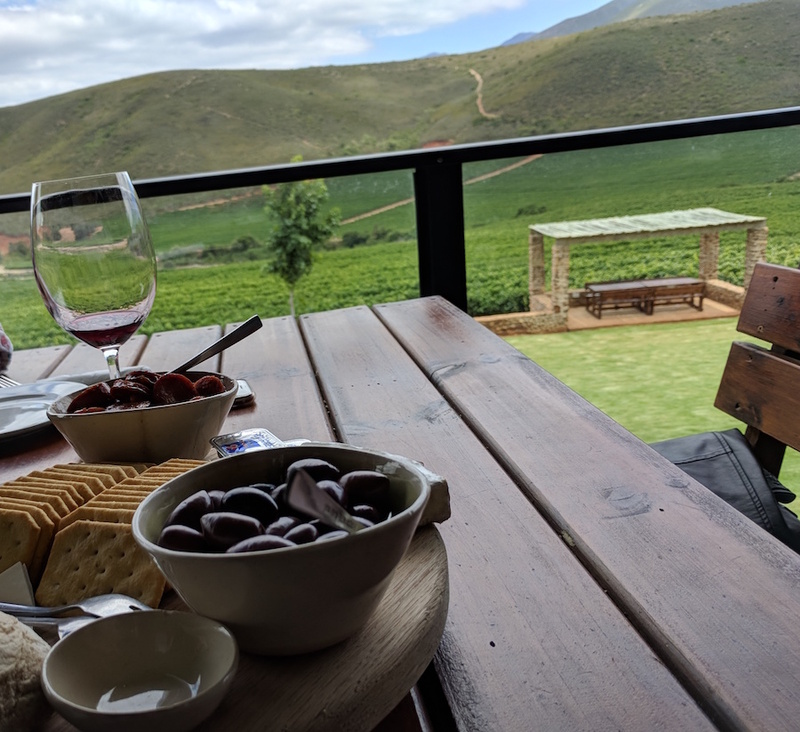 With a large concentration near Cape Town, there are many easy-to-discover wineries within a short drive. Hire a driver and visit 2-3 in a day, tasting the different grapes of the area and listening to the history of the families that invested their lives into the craft. Much like wineries in the States, you will get an education on the aging process, proper pairing with food, and how they distribute. If you are a wine expert, you can dig into details to take your knowledge to the next level. I am sure you will find the pricing much lower than typical, but the quality is at the same level. When you get hungry from trying out the different blends, there is plenty of food catered to ease your appetite. We had a delicious custom pizza at Jakkalsvlei winery just outside Herbertsdale that had the freshest mushrooms I ever tasted. Speaking of food, South Africans love their braais. A braai is a bar-b-que or cookout. It’s the idea of cooking over an open flame on a grill outside or, in some cases, indoors. There is a wild selection of food that could show up at a braai including skewered meats, fish, sweet corn, potato salads, chips, and fresh fruit. Be sure to give yourself some time because it is not a rushed process. While relaxing and watching the meat cook, try out a few of the local beers. The top South African brands sold include Carling Black Label, Pilsner Urquell, and Heineken. You will also discover that South Africa has an emerging local brewery scene. Some of my favorites during my three months were Devil’s Peak, Glenhoff Craft Beer, and Triggerfish. As you may know, I lean toward bourbons or whiskeys if I am going to have a cocktail during a cookout or braai. The South African award-winning whisky Bain’s Cape Mountain Whisky was precisely what I was looking for. I compare it to Angel’s Envy back home. I paired it with a Cuban cigar while visiting Cape to Cuba in Kalk Bay one Sunday afternoon listening to live music. Delicious smoke with excellent whiskey. You may or may not have all you need at your hotel or Airbnb to make a substantial braai. No worries, you can quickly talk to your host to find a local caterer to come to the home and set you up. 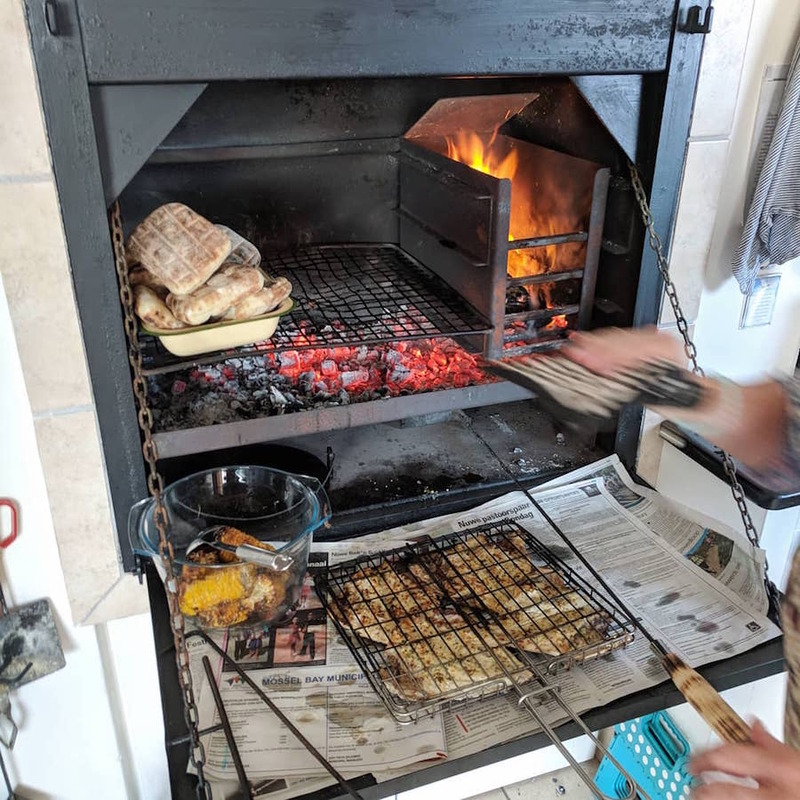 South Africans love to braai and teach the world the proper way to cook out. If you and your crew are into seeing live sporting events, South Africa (home of the 2010 World Cup) knows how to display talent. Two unique sports that I was excited to watch were Rugby and Cricket. Both have great crowds and huge followings, which makes for a fun day out with your buddies. Ever since I saw Matt Damon in the movie Invictus, I wanted to watch a live Rugby match in South Africa. The toughness of these men are at a level comparable to the NFL, but the rugby players are not wearing pads or helmets! The hitting and contact are unbelievable! The action and movement are non-stop making it a great spectator sport. The fans are educated in the game strategies and know the players well. The beer flows throughout the game making it louder and louder as the end nears. Cricket has many similarities to baseball in the US. The rules would take a day to go over so don’t worry about that. It’s more about the open air, slow action, and fun of being among fans and friends. Our experience was like going to a day game at an AAA-league park on a Thursday. The game was not sold out, but those who were there were having a blast. The games can be very long (7 hours, five days straight) so I wouldn’t recommend committing to more than a half a game. Combine it with another activity or bar-hopping and enjoy the sun while learning the rules of the beloved game. This list of activities and options will make your 10-12 day stay in South Africa a travel adventure of a lifetime. One of the bonuses that you will discover when getting there is that most locals speak excellent English. Yes, when talking to each other they will conversate in Afrikaans on occasion, but when addressing travelers, they speak English. This helps a great deal on any adventure travel to make sure you iron out all of the correct details. Transportation is also excellent in South Africa. We took a couple of domestic flights on South African Airlines (OneWorld partner) while there and were pleased with the attention to detail. The roads and highways are comparable to the US and there are several bus companies that can take you between cities along the coastline with no issue keeping your costs down (especially if you brought your golf clubs along with you). Uber is also very reliable in Cape Town and Durban. Depending on the timing, the US Dollar can go a long way in South Africa. Being there twice over the past 24 months, we had experienced it when the US dollar was strong and made the trip that much sweeter. It could cut your trip costs by a quarter if the timing works for you. You can check the Rand’s value on any currency chart. 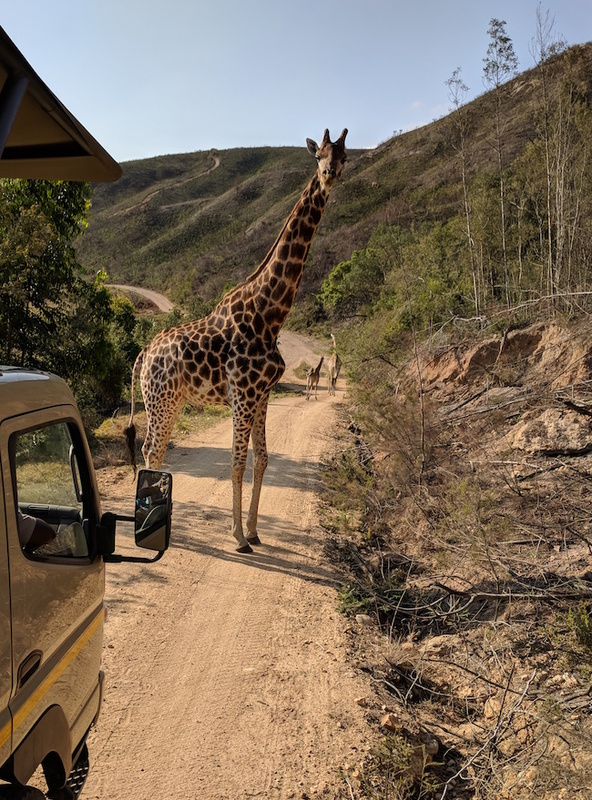 If you are looking for an exotic bachelor party location, playing your buddy’s 40th (or 50th) birthday, or just getting the guys together for a big annual trip, be sure to include South Africa in the conversations. With the full range of physical activities, opportunities to relax, gorgeous views, and fantastic food and drinks, you will have the time of your lives. South Africa has definitely been a highlight on my Journey So Far. Oh, and if any of your crew is single, South Africa has some of the most beautiful women in the world, producing a long list of gorgeous women including Charlize Theron, Candice Swanepoel, Bonang Matheba, and Carlinn(CampsbayGirl – photo’d below).